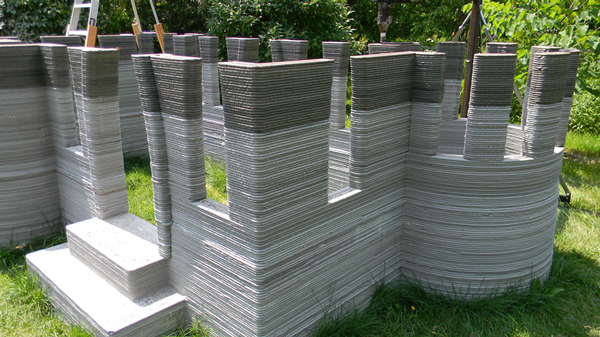 Could this 3D printed mini-castle be a step towards the first American 3D printed house? Home » 3D Printing News » Could this 3D printed mini-castle be a step towards the first American 3D printed house? One area of 3D printing that has come on leaps and bounds this year is construction. From the Amsterdam Canal House project by Dutch firm DUS Architects to China’s WinSun Decoration Design Engineering Company printing ten houses in a single day, 2014 has been packed with stories of ambitious designers putting additive manufacturing to use in the creation of buildings. 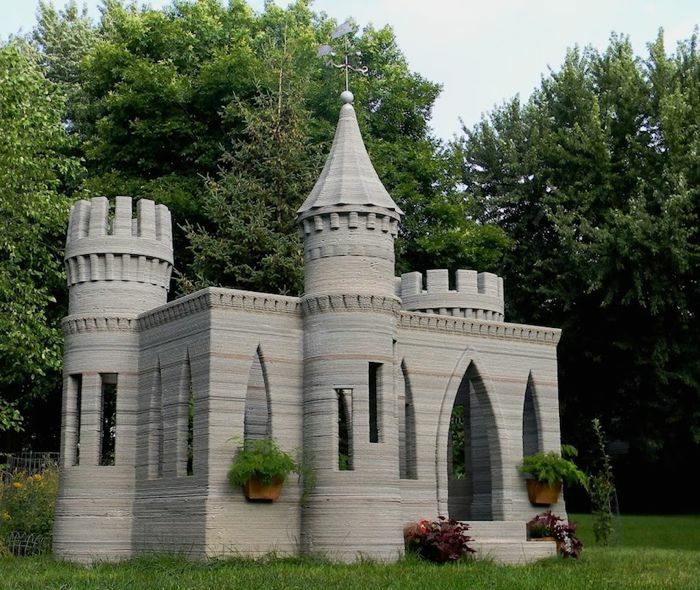 This week, we saw another example of the trend, when Minnesotan Andrey Rudenko revealed the 3.5 metre high mini-castle that he 3D printed in his back garden. It took two months to make, using Rudenko’s own customised fine concrete filament, through his own customised printer. Though it is a very intricate and attractive model, it was really just a test run for Rudenko’s long term plan: to go into business printing houses for private customers. Rudenko’s 3D printer is large enough to print an object 5 metres high, and can be extended even higher if a taller structure is required. The plan is to print a two storey house that stands 10 metres by 20 metres, which will make it about 3,600 square feet in total. This requires a team as, obviously, the huge concrete blocks involved mean the designer needs help with assembly. Judging by the reaction to his castle, Rudenko’s business plan may just have legs. He has already been inundated with calls from admiring neighbours who saw the castle standing proudly in his front garden and wanted to request their own. For now, however, he is fixated on his main goal of printing an entire, fully functional home. It will have to be commissioned by a private customer, however, as Rudenko has already spent big on customising the device and the concrete mixture.